For nearly 100 years URM/Berryman has been the leading company in buying and recycling all types of glass. We have pioneered new methods of treatment to make sure that the glass we buy can be put to useful second life — from closed loop systems to make new bottles and jars to construction products, insulation and many other useful products. We work closely with Local Authorities and waste management companies to ensure efficient collection, transportation and fair pricing. Our commitment to innovation and quality, together with our unrivaled range of services and nationwide coverage makes URM your ideal partner in glass recycling. COUNT DOWN TO 100 YEARS OF TRADING! 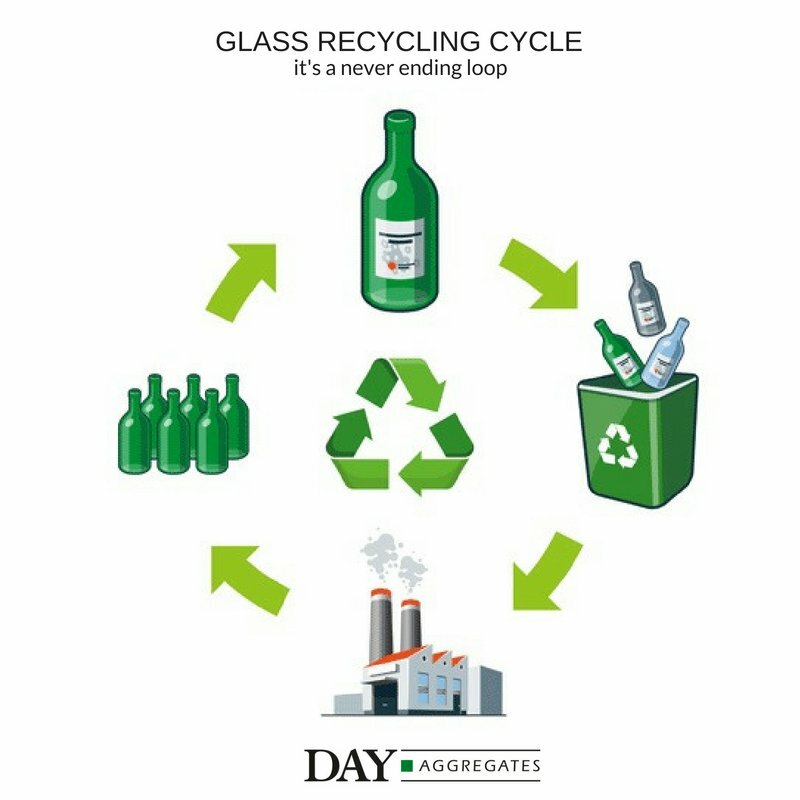 Remember to recycle your bottles, as glass can be recycled endlessly without degrading. In terms of weight, glass makes up to 8% of household waste streams. An increase in the amount of glass recycled means savings on waste collections and disposal costs, which are increasing due to landfill tax. Estimates indicate that 500 jobs are created for every 100,000 tonnes of glass collected for recycling. Recycling all the glass we currently throw away would create 7500 new jobs. Glass is a combination of sand and other materials that are melted together at very high temperatures to form a material that is ideal for a wide range of uses; from packaging and construction to fibre optics. Around 1,500 BC the Egyptians made the ﬁrst glass bottles in a state we would recognise today. Glass can be recycled again and again without ever losing its clarity or purity. Every ton of glass recycled prevents the quarrying of 1.2 tons of raw materials. Recycling reduces the release of CO2 into the atmosphere, helping to minimise climate change. Every ton of new bottles and jars made using recycled glass rather than raw materials prevents the emission of 670 kg of CO2. Recycling a single bottle will power a 100-watt light bulb for nearly an hour. It takes more than 1 million years for glass to decompose in landfill. No other packaging material does a better job in preserving food and preventing penetration by contaminants. “Cullet” is the industry term for furnace-ready recycled glass, material which is free of contaminants such as ceramics, metals, stones, or gravel, etc.